Nearly 40% of the population in industrial nations are snoring. This nocturnal, sawing noise not only disturbs ones partner but can also be harmful for those affected. The sleep apnea syndrome, which manifests in multiple breathing arrests during sleep of the affected, can cause oxygen deficiency and thus a negative influence on your all-over health. During deep sleep, muscle tone in the neck and pharynx decreases. This can cause the upper air passages to constrict and the required volume of air must be inspired at a higher velocity. 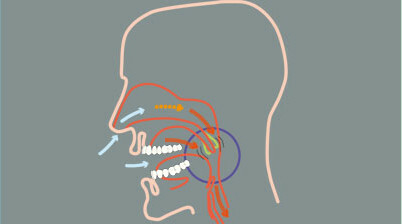 Structural areas of the upper air passages start to flutter (vibrating movement of gums, uvula and base of the tongue or of the lower-lying throat) and so produce the typical snoring noise. Snoring is basically a mechanical process which can be prevented with mechanical means. And that is where dental snoring therapy starts. Light or primary snoring does not affect your health, however, ronchopathy, pathological snoring, does. Sleep apnea is a complete interruption of breathing for a short period of time during deep sleep. It is a dangerous affliction that not only robs its sufferers of restful sleep, leaving them feeling tired, sleepy and exhausted during the day, but has also been associated with several health conditions since our bodies are starved of oxygen. We at Dental Planet offer an advanced oral appliance by Erkodent – the so-called “Silensor-sl”. This individually manufactured dental guard helps to control snoring and reduces the occurrences of sleep apnea. How does the Silensor-sl help? The snore guard consists of a transparent splint, one each for the upper and lower jaw. 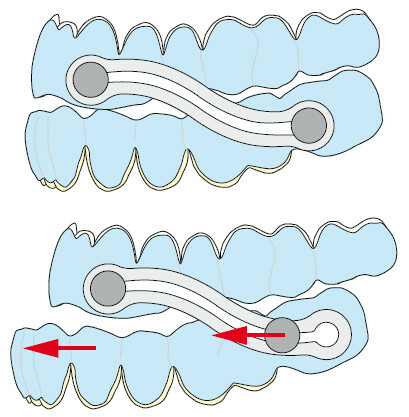 The lower jaw is held in a predetermined position by two connectors that are fixed laterally to the splint causing the pharyngeal space to open. The velocity of the inspired air decreases and thus the noise-forming vibrations. 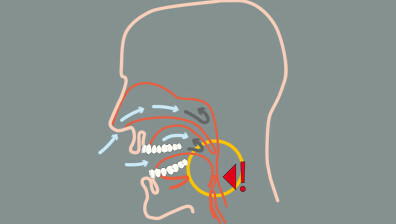 Jaw movements are still possible due to the special construction of the anti snoring device. The lower jaw stays in position (cannot sink back). This effective and comfortable snore guard has been tested and proven successful in clinical trials: the anteriorization of the lower jaw reduces snoring at 90% and may reduce the apnea index at up to 50%. The Silensor-sl can be expected to be very successful since in almost all cases the noise involved in snoring is caused by constriction of the airways.